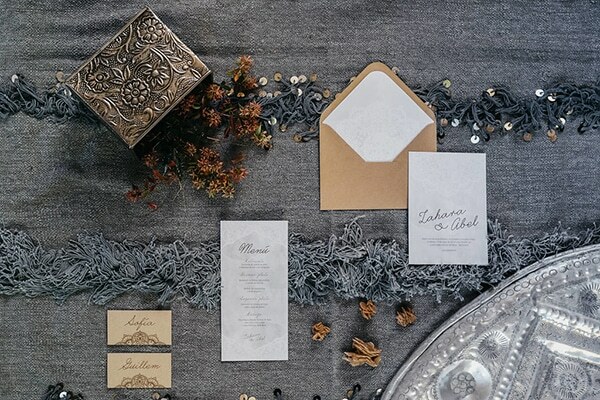 We are sharing today a beautiful winter wedding inspiration shoot that will mesmerize you! 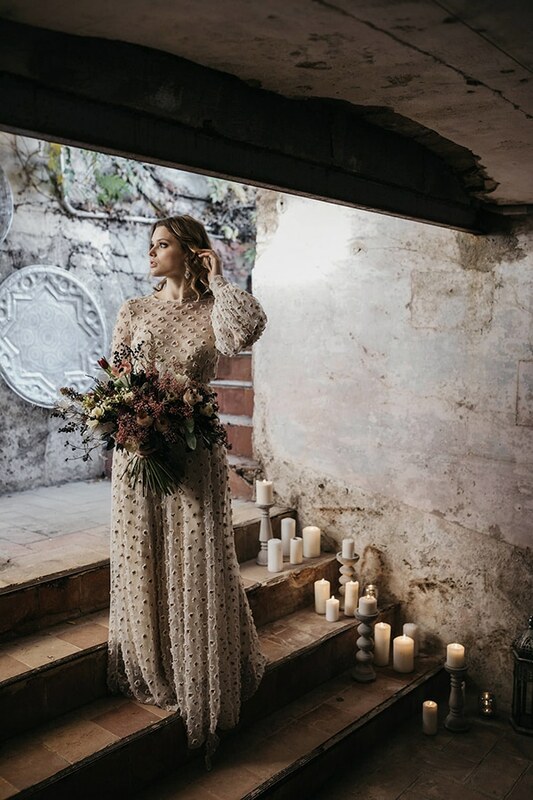 Inspired by North Morocco, the model wears two amazing dresses in cream and brown tones with a beautiful cape and a traditional blanket, called “Handira”. 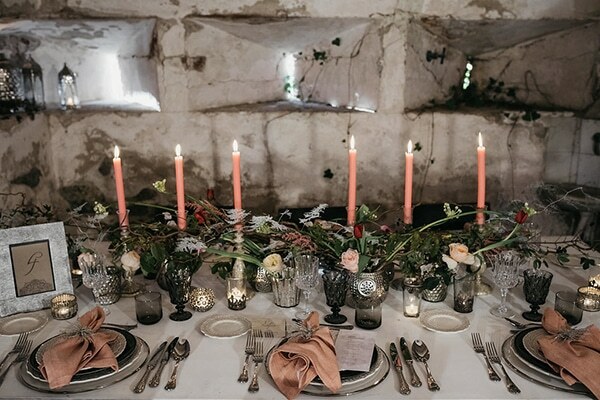 Candles, silver candle holders, Moroccan trays and glassware were mainly used in the decoration creating a bohemian atmosphere! 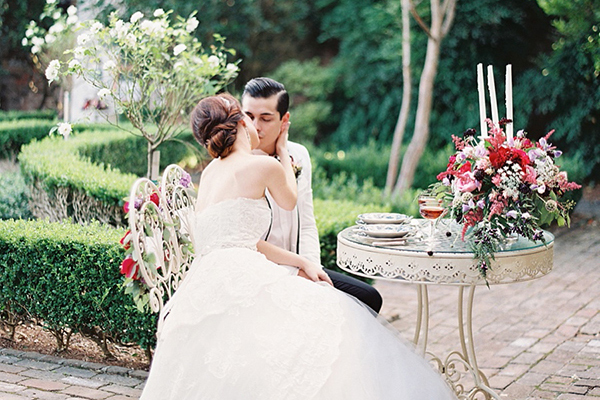 Have a look at this gorgeous shoot and be smitten! 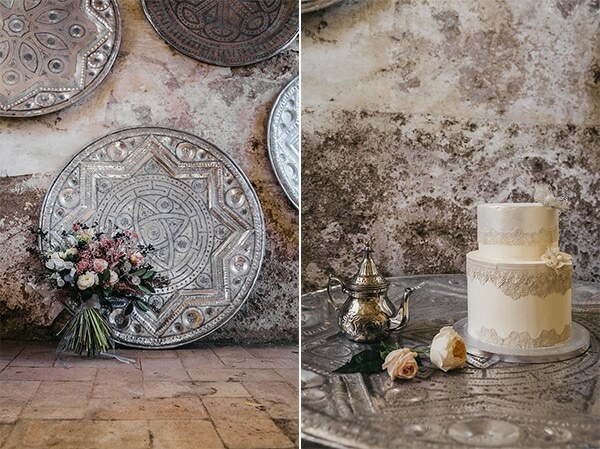 “The opposite wall of the left stairway was decorated with a mosaic of cement candle holders, candles and glass and silver candle holders to accompany the backdrop of the ceremony, which consisted of extralarge vintage Moroccan trays. The model was covered with a blanket, or also called “Handira”. The history of wedding blankets goes back to antiquity in the Atlas mountains, where the bride wears this blanket on her wedding day. 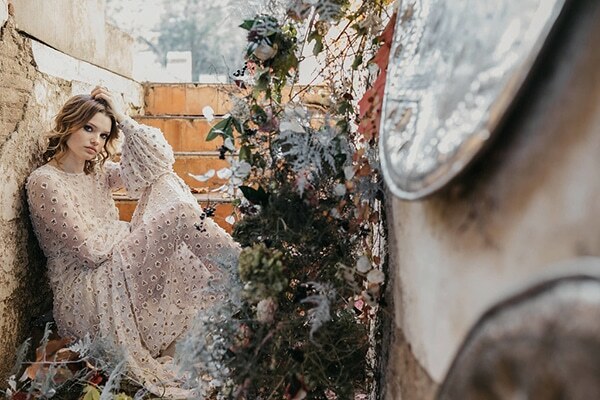 The Handiras are made by family members during the weeks leading up to the wedding day to share the fears and confidences of the brides before they get married. Thousands of sequins were sewn by hand in such a tender and intimate atmosphere. The Handiras are also a symbol of happiness, fertility and protection against evil”. 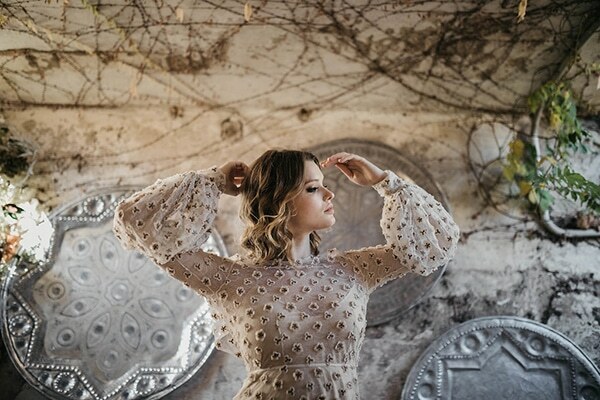 “The cape worn by the model with her second dress is one of the jewels in the crown. It is a haute couture layer with a romantic second skin effect. The transparencies and the tulle embroidered with rhinestones and crystals exploit the feminism of the design, keeping the sensuality subtle”. What can be more romantic than having your engagement session at the beach! 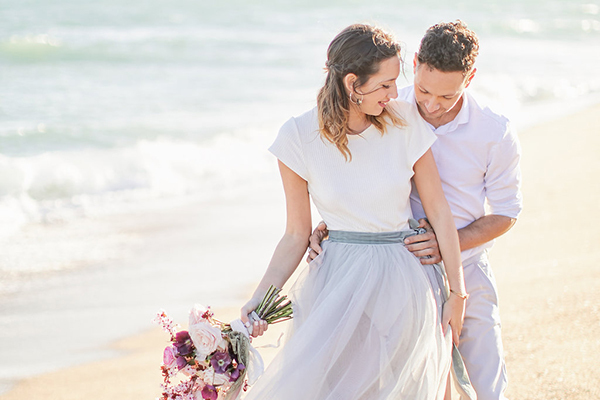 These gorgeous images captured by Sotiris Tsakanikas will definitely persuade you to add a beach couple’s session to your list of things to do before your wedding! 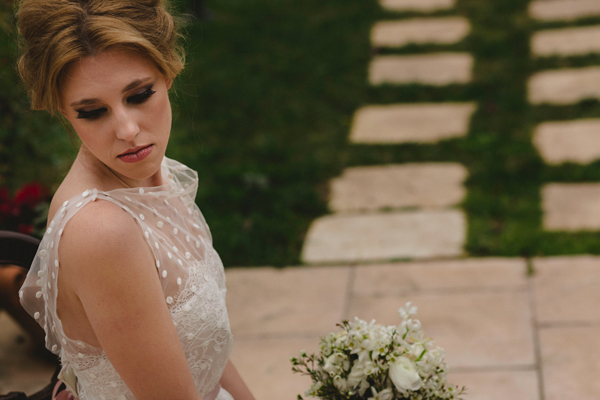 We are swooning over these images Sotiris Tsakanikas shared with us! Loving the edgy style of this couple and not to mention the “wild” bouquet with an interesting mix of colorful and different type of florals!